“Loveless” (“Nelyubov”) (2017). Cast: Maryana Spivak, Aleksey Rozin, Matvey Novikov, Marina Vasileva, Andris Keyshs, Aleksey Fateev, Nataliya Potapova, Artyom Zhigulin, Aleksandr Sergeev. Director: Andrey Zvyagintsev. Screenplay: Oleg Negin and Andrey Zvyagintsev. Web site. Trailer. How we treat those close to us often speaks volumes about how we care about others in the wider world, even if the parallels aren’t patently obvious. The compassion, caring and courtesy – or lack thereof – that we show them is quite telling, even if we can’t or don’t want to see it for ourselves. 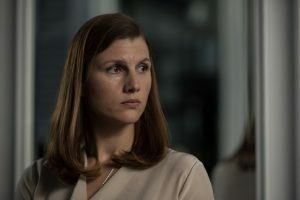 Whether such concerted attentiveness or deliberate slights occur on an individual or collective scale, their presence and expression are nevertheless undeniable, as seen in the troubling new Russian drama, “Loveless” (“Nelyubov). Of course, it’s probably hard to plan for your son’s well-being when you’re busy with other, more pressing concerns. Zhenya, for example, is preoccupied with running her salon and spending time with her new boyfriend, Anton (Andris Keyshs). Boris, meanwhile, quietly tries to figure out how he can hold on to his job, given that he works for a company owned by Christian fundamentalists committed to employing only happily married workers, a variation from which could carry serious consequences. He’s also concerned how he’ll provide for his new girlfriend, Masha (Marina Vasileva), especially now that she’s carrying his child. Indeed, there’s so much to do that tending to Aleksey’s needs just gets in the way. Zhenya and Boris seem wholly unconcerned about him, even when he breaks down and cries, something he does often. However, the divorcing couple’s attitude changes drastically when Aleksey goes missing. Suddenly Zhenya and Boris are worried – not so much about their son’s safety but about how his disappearance will affect them. The thought of a police investigation and all of the potential implications associated with it send shudders through the parents, each concerned that their hopes and plans for the future will be severely – if not irreparably – disrupted. Authorities assure Zhenya and Boris that Aleksey is likely a runaway, upset over the deteriorating conditions at home, and that he’ll probably come back in a few days, a scenario seen quite often in their experience. But, after those few days pass, there’s no sign of Aleksey, raising more troubling concerns. With no sign of the child, Zhenya and Boris take additional steps to find him. 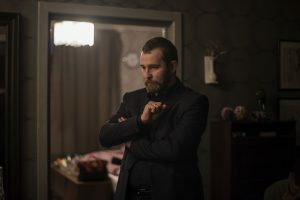 They reluctantly pay a visit to Zhenya’s beastly mother (Nataliya Potapova) on the off-chance that he may have run away to live with her in the Russian countryside. They speak with Aleksey’s friend Kuznetsov (Artyom Zhigulin) to see if he knows anything. And they seek assistance from the coordinator (Aleksey Fateev) of an organization committed to conducting searches for missing children. But, for all these efforts, nothing turns up. So where is Aleksey? That’s a good question. However, considering the treatment he received during the waning days of his parents’ marriage (and, apparently, even before that), who would realistically want to continue living under such conditions? And, faced with the prospects he was up against, why would he want to return? That doesn’t definitively explain his disappearance, but it’s certainly quite revelatory about his possible methods and motives. This scenario naturally raises the question, how did circumstances get to this point? Well, when one sees Zhenya’s mother, for example, it’s obvious this cynical now-adult daughter didn’t learning anything about effective parenting from the woman who raised her. What’s more, when one looks at the unrestrained materialism that Zhenya and Boris relish, it’s apparent that the responsibilities that come with being parents aren’t nearly as entertaining as all the shiny new toys that their affluence now affords them. And, when one takes such unconcerned, self-absorbed attitudes and enlarges them from an individual to a collective scale, it’s easy to see how they would come to plague the downtrodden of an entire community, a sentiment echoed in the film through periodic background news reports about the nation’s inadequate response to the plight of ethnic Russians living in nearby Ukraine. With attitudes like this, is it any wonder that events transpire as they do? Of course, for events to have unfolded as they have, one need only look to the attitudes of those – both on a small and large scale – who brought these conditions into being. 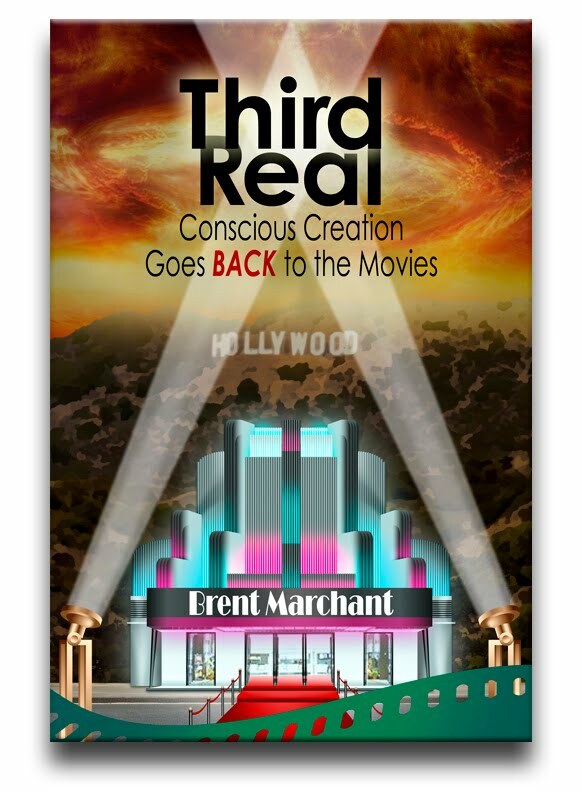 This is a process that begins with their thoughts, beliefs and intents, the cornerstones of the conscious creation process, the philosophy that maintains we draw upon these intangible building blocks in manifesting the corporeal existence we experience. 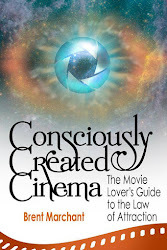 And, as this film illustrates, those determiners of reality carry considerable inherent power, for better or worse, within them, as borne out by the existence that materializes. The manifestations that appear in this film illustrate a kind of vicious circle, too. Circumstances that originate on a small scale, such as the materialized values drawn upon in raising a child within a particular family, get passed from one generation to the next, which, in turn, share them even further and wider. At that point, the values become embedded in the culture, so much so that they get imparted back into individual families, repeating the cycle and perpetuating it within the culture at large. The beliefs – and their outcomes – persist, making their conceptions institutions that growing increasingly resistant to change. Sooner or later, the underlying values in these situations affect not only individuals, but also entire groups, and it all becomes so commonplace that the conditions become accepted – and, worse yet, acceptable. Is this really what any of us want? When we take a good, hard look at these circumstances, probably not. However, if we allow ourselves to fall into such belief complacency, we may find ourselves unwittingly embracing these notions, not questioning them and enabling their unfettered continuation. Change is indeed possible, both at home and in the wider world. However, we must first recognize what constitutes our reality and how it came into being, and that begins with assessing the beliefs that birthed them. If they’re steering us in the wrong direction, then it’s time to rewrite them to set things right. Conscious creation, as anyone who practices it understands, makes all options for existence possible. 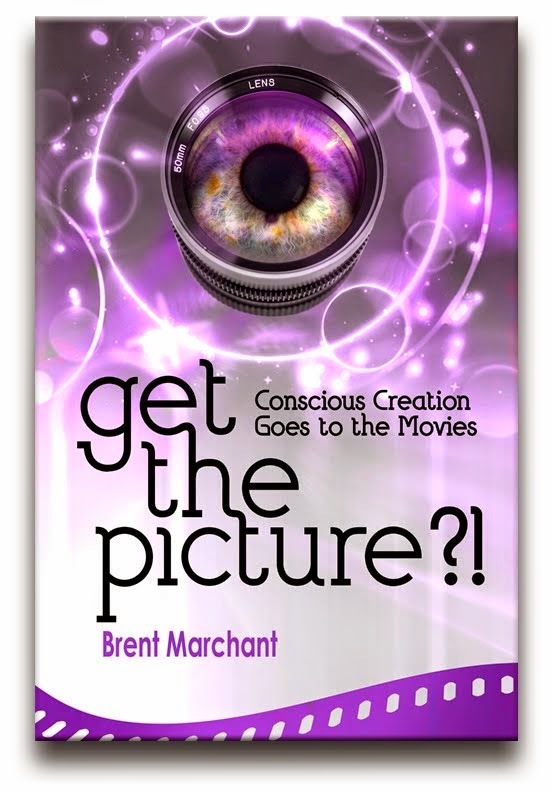 But, if we’re to realize outcomes different from what are depicted in this film, we must get our beliefs in order to make the desired result become a reality – literally. “Loveless” sends a pointed message about the fallout of what comes from a deliberate lack of compassion. It presents a raw, cold treatise on the perils of self-absorption, one that’s sometimes difficult to watch and sometimes hard to believe but all too often right on the mark when it comes to its depiction of the slow but relentless erosion of qualities like courtesy, consideration and compassion. The pacing is a bit slow at times, and some of the cultural references are likely lost on non-Russian audiences. But the overall message is clear and undeniable – and not limited to the film’s country of origin. 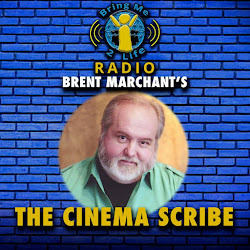 Despite the picture’s daunting nature, it’s truly powerful, something widely recognized during the recently completed awards season. 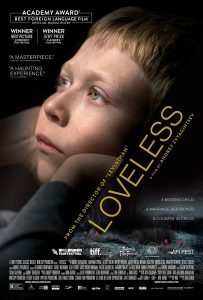 “Loveless” earned best foreign language film nominations in the Golden Globe, BAFTA, Independent Spirit and Academy Awards competitions. It also received a Palme d’Or nomination at the Cannes Film Festival, as well as the event’s Jury Prize. In addition, the National Board of Review named the picture one of 2017’s top 5 foreign films. The cost of a lack of compassion can be considerable, often in ways we may not initially see. But, if left unchecked, the price in the long run can be quite high, in many ways – one that we might not want to pay.